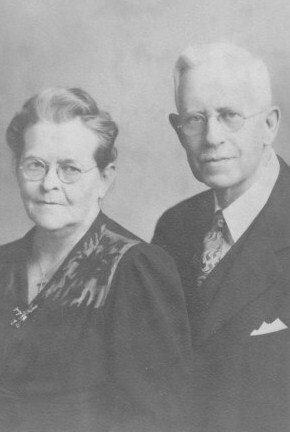 Reverend N.C. Carlsen was a pastor in the United Danish Evangelical Church (UDELC). 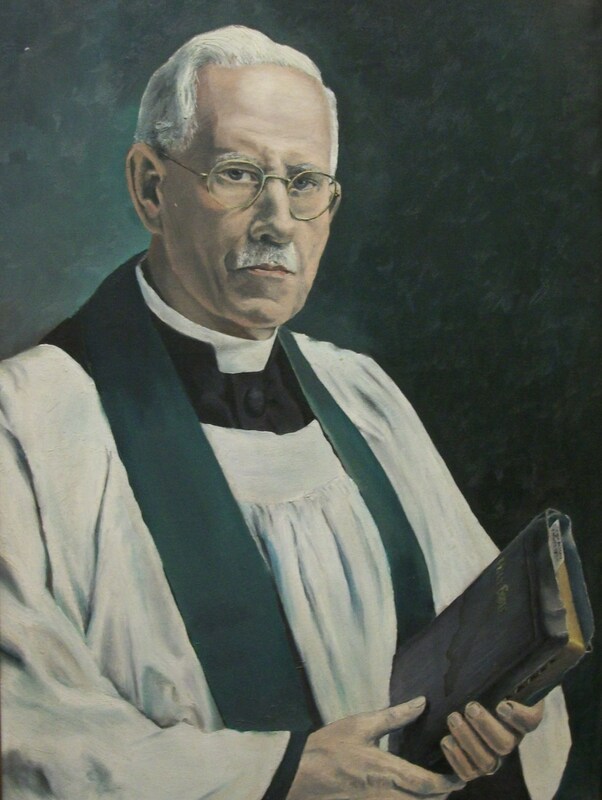 Born in Vennebjeft, Denmark in 1884, he graduated from Dana College in 1907 and from Trinity Seminary in 1910. He married Caaroline Martha Neve that same year. 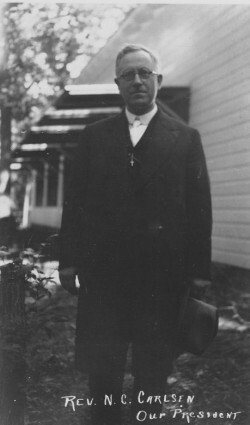 He served churches in Duluth and Superior, Minnesota, Milltown, Wisconsin (1910-1919) and Royal, Iowa (1919-1930). In 1925 he became president of the UDELC and continued as president until his death in 1950. He was awarded the Knight of Dannebrog in 1936 for his work among Danes in America.